The perfect potato chip starts with the freshest potatoes, and a commitment to quality. We use only the freshest Non-GMO potatoes, cooked in 100% sunflower oil. 100% Sunflower Oil is the secret to our amazing crunch! It is our passion to produce the best tasting, best quality potato chip possible. That is why we insist on cooking Door County Potato Chips in 100% Sunflower Oil. It is not easy, but there is no other way to make a great potato chip that beats the competition again and again. Extra Thick & Double Cooked Wins the Crunch Test! 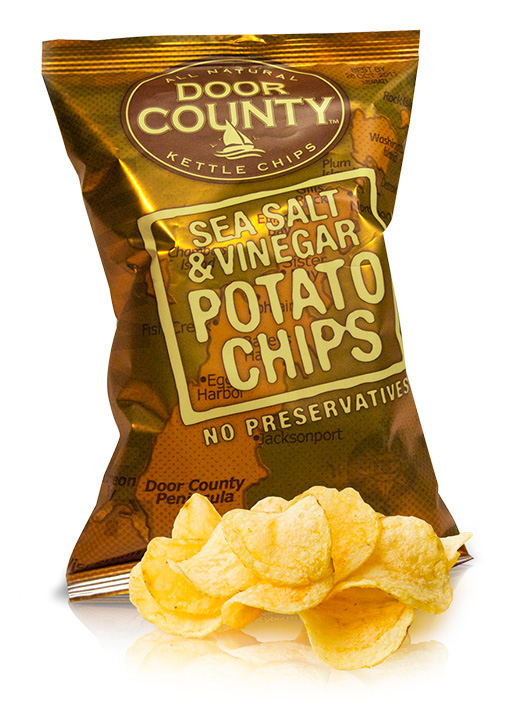 We challenge you to take the Door County Potato Chip Crunch Test. Compare our crunch to any of our competitors and see for yourself how crunchy and fulfilling a potato chip done right can be.